A long lasting, metallic cream-gel texture, with a smudge resistant finish. Oh, but it's perfect. Not too dark, not too bland. I have all three of those, love them to bits and wear daily. Lovely product and great colour, long lasting. Beautiful shadow that is complimentary and wears all day. I am super impressed with this cream product, I can not keep away from it. I use it all the time. It blends so effortlessly, sets well. Gives a stunning shimmer finish which is not to overpowering, and leaves a gorgeous bronzed finish to the eyes. Just perfect. 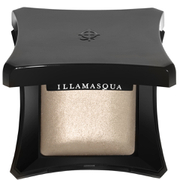 I like to add Illamasquas powder eye shadow in Tease on top for an even deeper finish. Not usually a fan of cream eyeshadows but this is just a beautiful product. It's so easy to work with and sets really fast and best of all no glitter fallout and no creasing. Lovely colour and want the others now!